Are you looking for a place to explore some of the best fall foliage in Western New York? Head on down to the gorgeous town of Ellicottville, NY this Columbus Day Weekend for their Annual Fall Fest held on October 8th and 9th. The streets of Ellicottville will be full of craft and food vendors as well as fun activities for the whole family to enjoy. While you have the opportunity to enjoy some of the most unique foods and events on the streets, you can also stop by some of the most popular restaurants and stores right in the heart of town. From the famous homemade meatballs at The Villaggio to the refreshing craft beer at Ellicottville Brewing Company, this town has it all. If you really want to enjoy the beautiful views of the fall, make sure you head over to Holiday Valley for the amazing mountain views. On Saturday and Sunday from noon to 4pm they will be offering chair lift rides to the top of the mountain! These scenic rides are a lot of fun and give you the best views of the beautiful fall colors. Holiday Valley will also be offering live entertainment all weekend! On Saturday the Tommy Z Band will be performing on the top of the Mardi Gras lift from noon to 4pm and The Strangers will be performing at the Cabana Bar from 3pm to 7pm. On Sunday the Black and Blues Band will be performing at the top of the Mardi Gras lift from noon to 4pm and the Party Squad will be at the Cabana Bar from 3pm to 7pm. Do you want to stay active during the weekend? Not a problem because there will be a 5k run on Saturday and a mountain bike race on Sunday. Whether you want to compete in the race or just go for a leisurely run to enjoy the beautiful fall weather, the annual 5k run is a perfect event for you! If running isn’t for you, then grab your mountain bike and join in on the rugged race through the mountains. Fall Fest has all of the outdoor activities that you need to have an exciting weekend. If you don’t have plans yet for this Columbus Day weekend, then you will not want to miss out on the best fall tradition that the area has to offer. 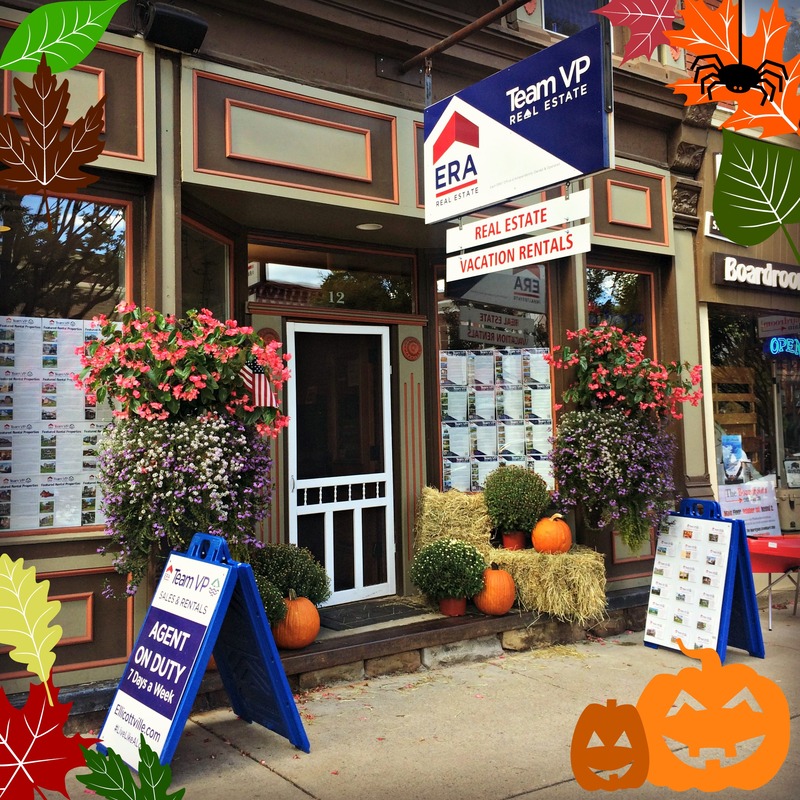 Whether you are looking for a romantic getaway or a fun family weekend, Ellicottville’s Fall Fest will make your weekend worthwhile. When you’re in town, be sure to stop by our office at 12 Washington Street! Whether you’re just saying hi or are interested in checking out our Real Estate or Vacation Rental listings, we would love to see you! Are you someone who enjoys Chautauqua Institution and would love to have a great place to stay right on the grounds? Why not rent one of our 12-RCI timeshares at the beautiful NorthShore condos, which are available all year round. These condos are the only timeshares available within Chautauqua Institution and are a very smart way to live! 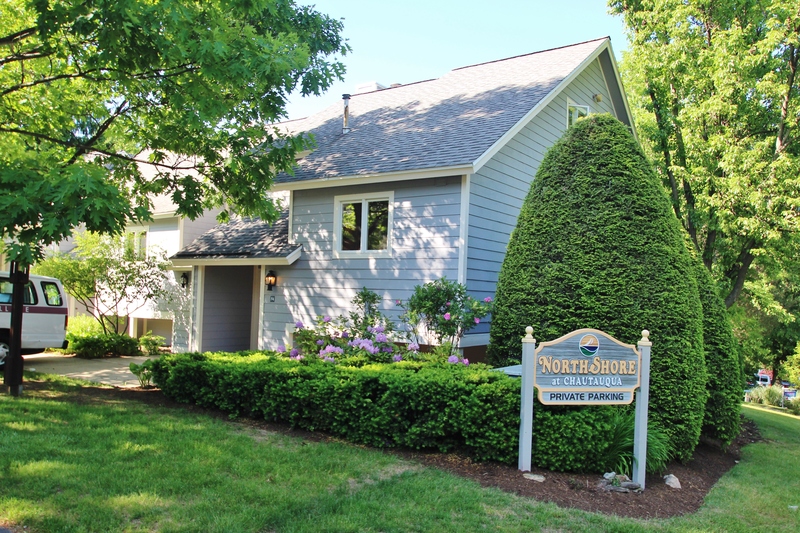 The NorthShore condos were built in 1983 for an easier more accessible way for people to own or rent a property in Chautauqua Institution without the fulltime commitment. Although these condos were built in the 80’s, many updates have been made and they are looking better than ever! Some of the upgrades include a new exterior paint, new gas fireplaces, new carpet, and new main entry doors. Additionally, NorthShore offers two in ground heated swimming pools which are open throughout the summer season! You can rent one of the NorthShore timeshares at any time throughout year. Whether you’re looking for a nice family getaway or just excited to enjoy the beauty of this area, the NorthShore condos are a perfect place to stay! While living in Chautauqua during the summer season is always fantastic, the offseason is also a great time to be on the grounds. In the offseason you are not required to have a gate pass and the parking is free, not to mention the grounds are much quieter this time of year, if it is privacy you’re looking for. These timeshares give you every excuse to enjoy the four seasons, as well as the beautiful grounds of Chautauqua Institution to their fullest potential! Whether you want to visit Niagara Falls, local breweries, or wine country… or you’re interested in winter adventures such as skiing and snowmobiling, the NorthShore condos are in a great location that is easily accessible to all of the amazing attractions around the Western New York and Northwestern Pennsylvania area! Endless opportunities await you! Get more bang for your buck and take advantage of one of these premiere NorthShore timeshares. Whether you buy a condo, rent a condo, or trade a condo, we have what you’re looking for!